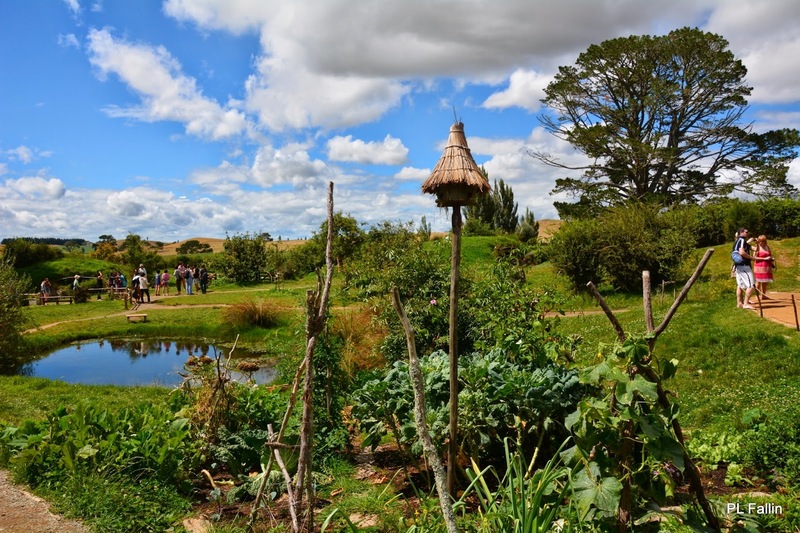 Middle-earth is located on the picturesque Alexander farm, where we visited the Hobbiton Movie Set from The Lord of the Rings and The Hobbit films in a 2 hour guided tour. 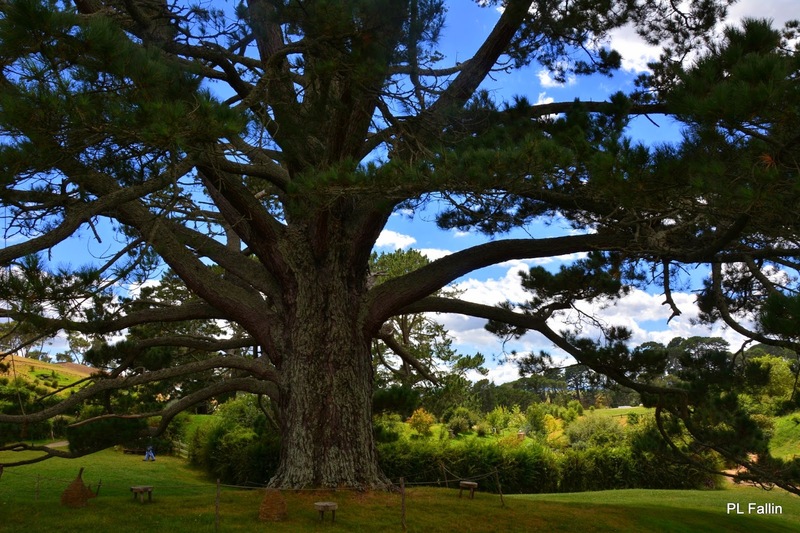 The tour started with a drive through the picturesque 1,250 acre Alexander sheep farm in the Waikato region with spectacular views across to the Kaimai Ranges. 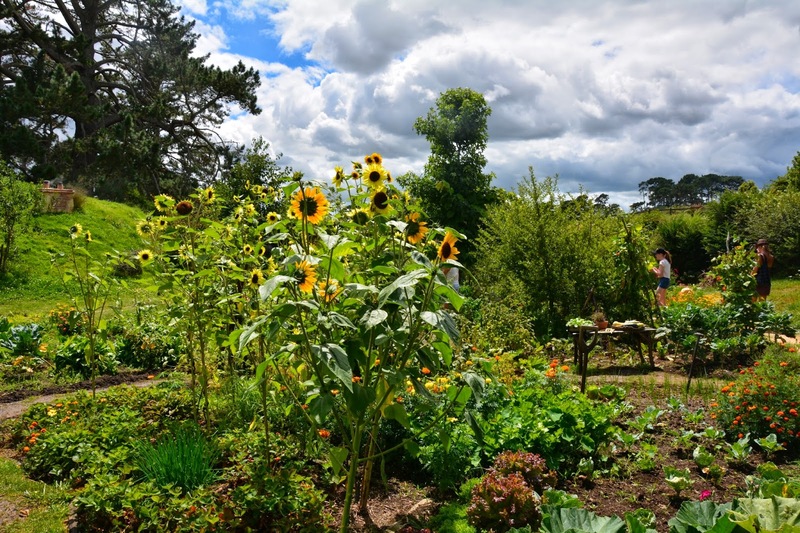 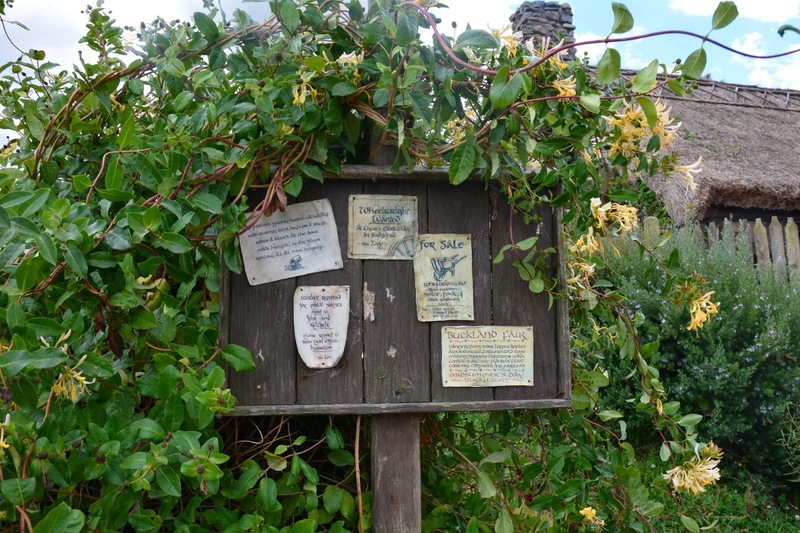 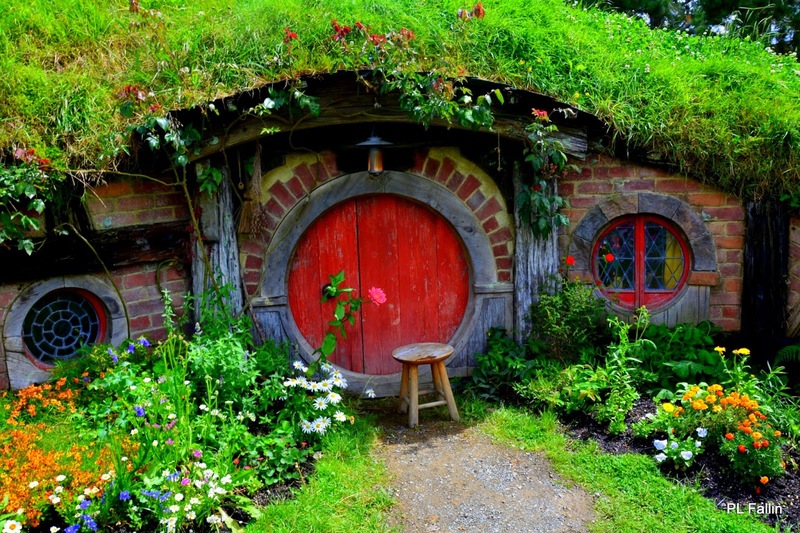 It is a twelve acre site where the 44 hobbit holes were created and transformed into The Shire from Middle-Earth. 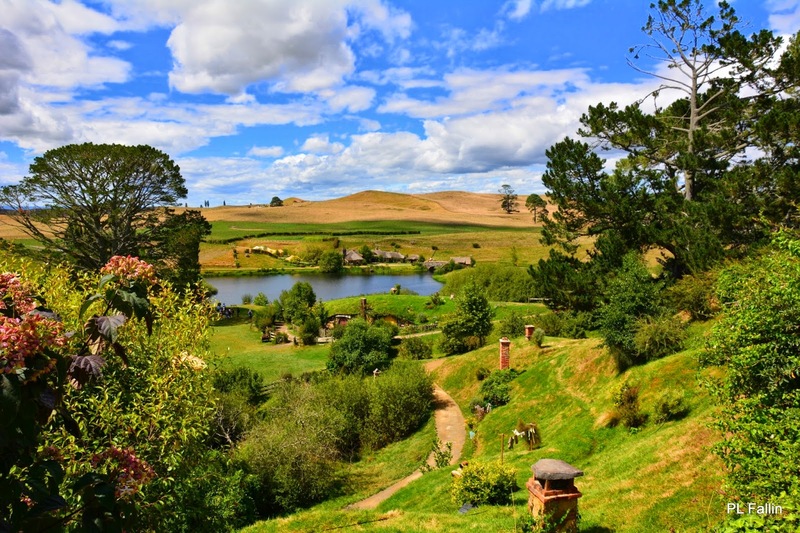 Peter Jackson spotted Alexander Farm during an aerial search of the North Island, and he thought its rolling meadows and fantastic views made it a perfect spot to build the set of The Shire. 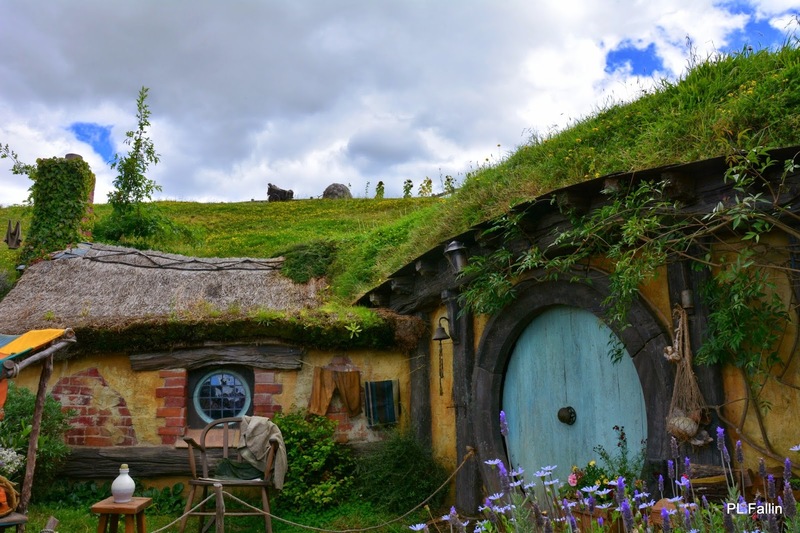 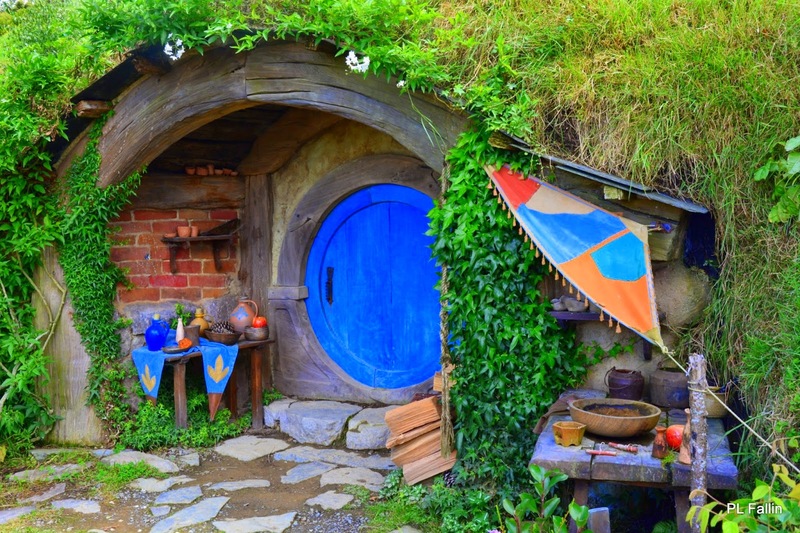 The Shire includes the Hobbit holes, Green Dragon Inn, Mill and other structures created for the LOTR and Hobbit films. 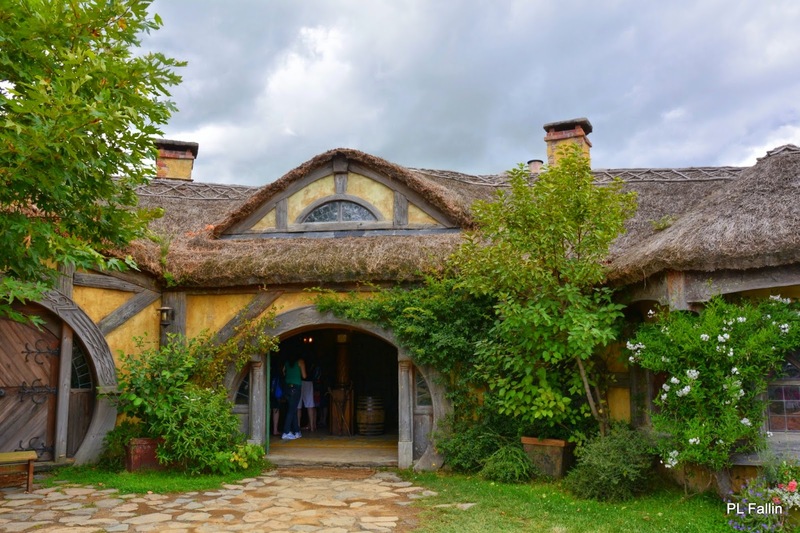 While Bilbo Baggins is on an adventure far away from his homeland of The Shire, we were there strolling through hobbit holes and had a drink at The Green Dragon. 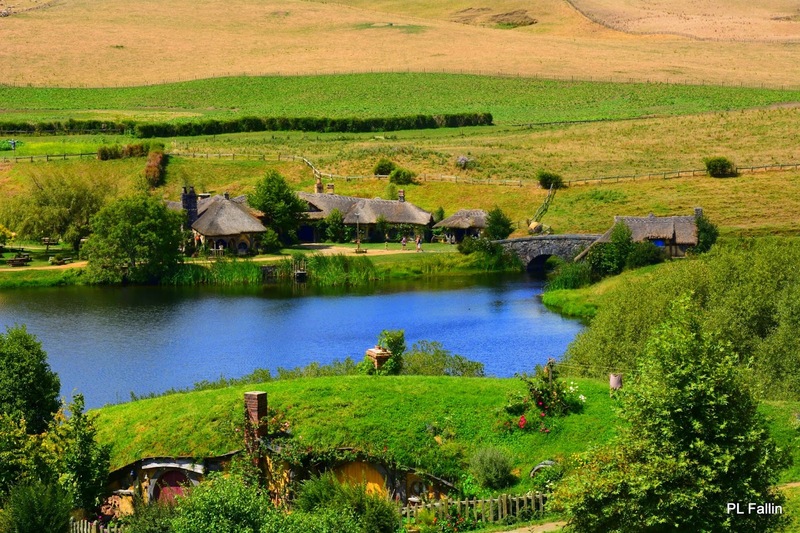 The Old Mill on The Water at "The Hobbiton Shire"